New Ham Training Classes are conducted in the first floor classroom at the Radio Club of Tacoma Clubhouse. Contact the Club's Education Coordinator to register for the class. Contact info is shown below. Classes typically run for two days, from 8:00 AM to 5:00 PM on a Saturday and Sunday. Most participants take and successfully pass the Technician Class license exam at the next License Exam session. 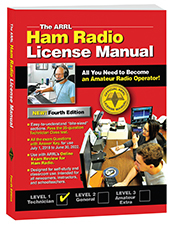 New Ham Training Classes will use as a study guide the ARRL Ham Radio License Manual, Revised 4th Edition. Copies of the Manual may be available for purchase from the Club's Education Coordinator. 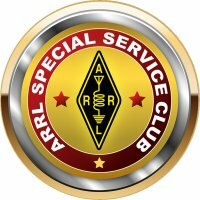 Helpful information about getting started in Ham Radio is available at the ARRL website. For an informative article, see "What is Amateur Radio?". TECHNICIAN LICENSE CLASS Classes are held on Saturday and Sunday from 8:00 AM to 5:00 PM, with license exam on the following Tuesday. The class is considered a crash course and the whole manual is reviewed over the course of the weekend. and other classes as needed. Classes may be cancelled when there are not enough requests for attendance, a minimum of 7 students confirmed and in attendance is required. Class fee: $10.00 - Due the morning class starts. Testing: $15.00 - Fee will be collected on the evening testing begins. Please provide a valid picture ID and your Federal Registry Number (FRN). Obtaining your FRN will be explained the morning class begins.